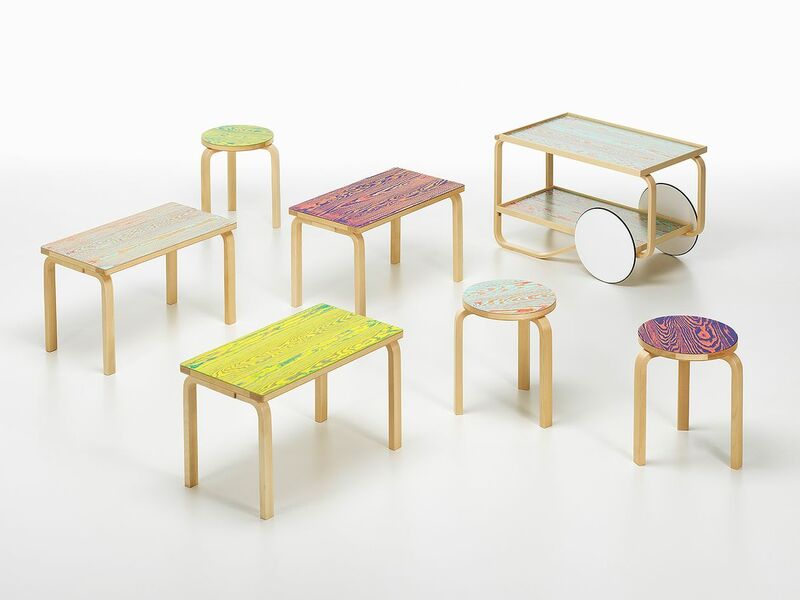 Finland and Japan established diplomatic ties 100 years ago, and to commemorate this, Artek launches a special friendship collection at Milan Design Week 2019. Jo Nagasaka applies his experimental ColoRing surface treatment to Aalto’s classic Stool 60, Bench 153B and Tea Trolley 901. ARTEK IS LAUNCHING a FIN/JPN collection at Milan Design Week to commemorate a century of diplomatic ties between Finland and Japan. The items include both new design and some classics created with traditional handicraft methods. The objects and furniture, created through the cooperation of renowned Japanese and Finnish designers, architects and artisans, will be presented as part of an installation designed by Linda Bergroth in the Brera district. ColoRing is a merging of two age-old Japanese practices and results in surprising colour combinations and irregular patterns. 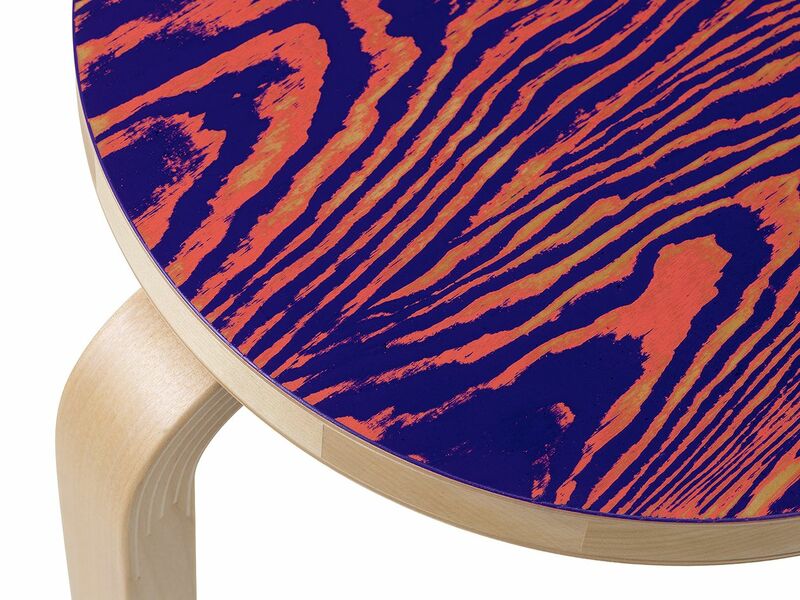 Stool 60 Aizome brings together Alvar Aalto’s iconic design with a traditional plant-based Japanese colouring technique. 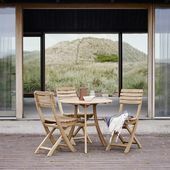 Artek re-introduces the Kirsikankukka fabric, designed by Aino Aalto. Alvar Aalto classics – Stool 60, Bench 153B and Tea Trolley 901 – will be presented in new, bright colours in Milan. The ColoRing surface treatment method developed by Jo Nagasaka applies the centuries-old udukuri and tsugaru-nuri techniques that give wood an intriguing, multicoloured surface. Alvar Aalto classics will be presented in new, bright colours in the Milan Design Week. 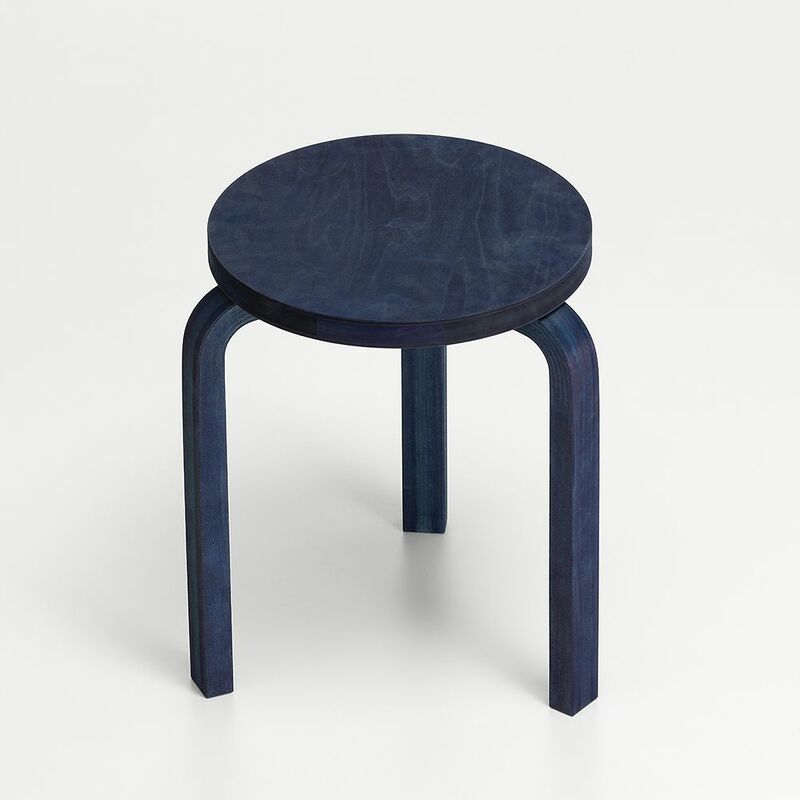 The iconic three-legged stool has also been made into an Aizome version, in which the deep-blue colour has been created with Japanese indigo dyeing. 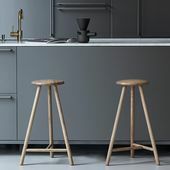 Artek has produced the stool together with BUAISOU, operating from the Tokushima prefecture. 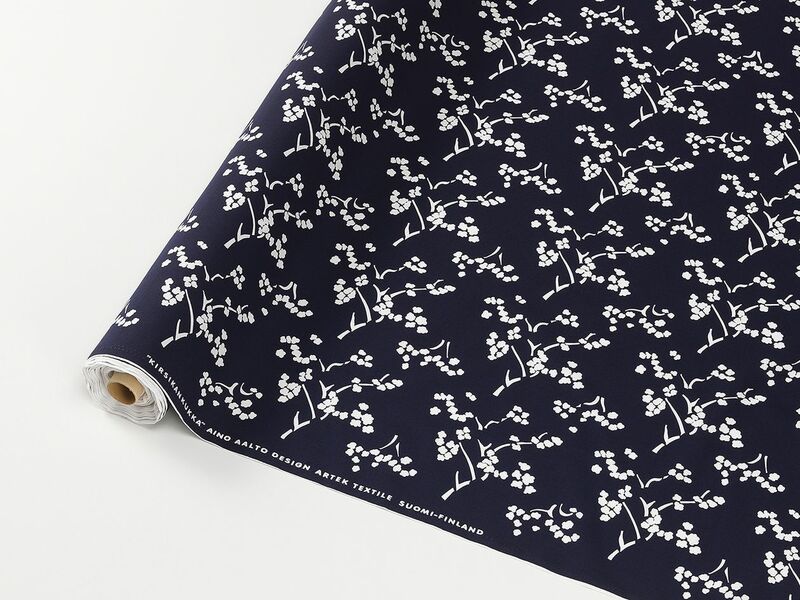 The dark colour is repeated in the Kirsikankukka (“Cherry Blossom”) cotton fabric, which was designed by Aino Aalto, inspired by a gift she received from the Japanese Ambassador's wife in 1933. The timeless floral pattern was printed by a family business in Kyoto that specialises in kimono prints. 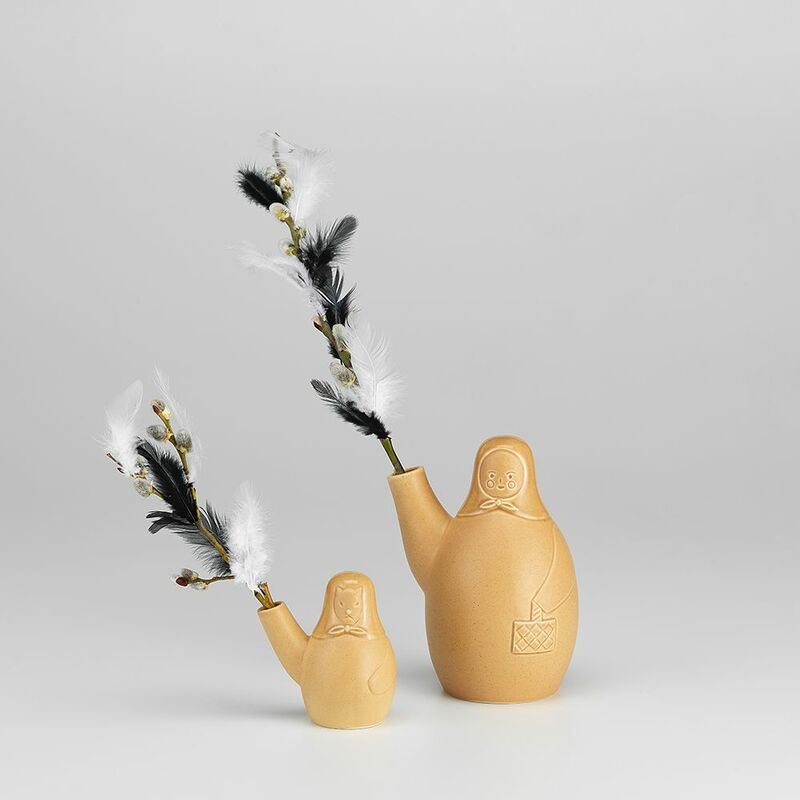 The Finnish-Korean design duo COMPANY imagines the gifts the Finnish delegation might have brought to Japan a hundred years ago. Architect and designer Koichi Futatsumata contributes the versatile Kiulu Bench, inspired by the public bathing cultures of Finland and Japan. Fashion and textile designer Akira Minagawa's book Pieces of Aalto sees the Japanese artist in conversation with his heroes Alvar and Aino Aalto. Contemporary design in the FIN/JPN collection is represented by architect and designer Koichi Futatsumata's Kiulu Bench and the Finnish-Korean COMPANY's gentle ceramic objects. Futatsumata drew inspiration for the multifunctional bench from the bathing culture that unites the two countries, while design duo Aamu Song and Johan Olin visualised what kind of gifts a Finnish delegation might have taken to Japan a century ago. 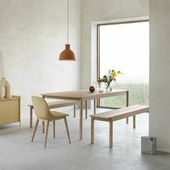 Contemporary design is represented by Koichi Futatsumata's Kiulu Bench and the Finnish-Korean COMPANY's gentle ceramic objects. Artek's long-term friend, fashion and textile designer Akira Minogawa's book Pieces of Aalto is based on imaginary conversations between the Japanese artist and Alvar and Aino Aalto, whom he admired. 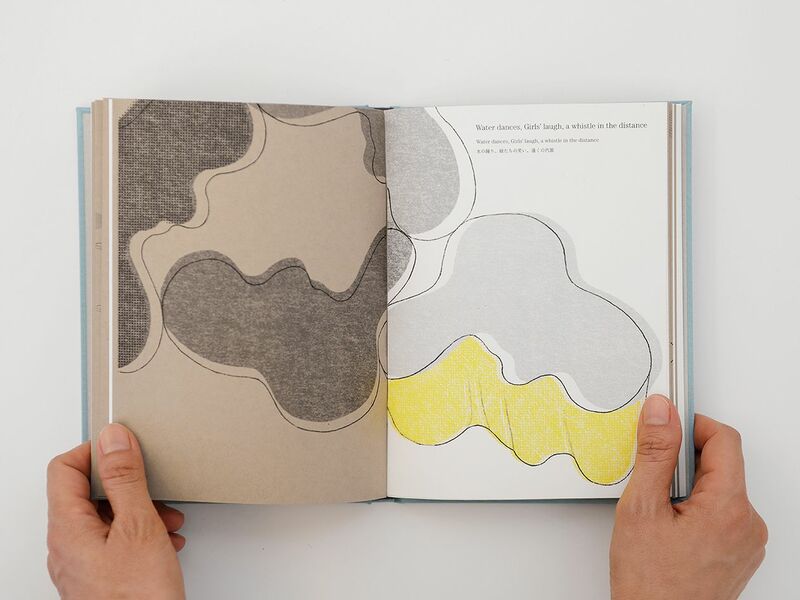 Minogawa interprets in his book the Aaltos' production with his charming drawings. 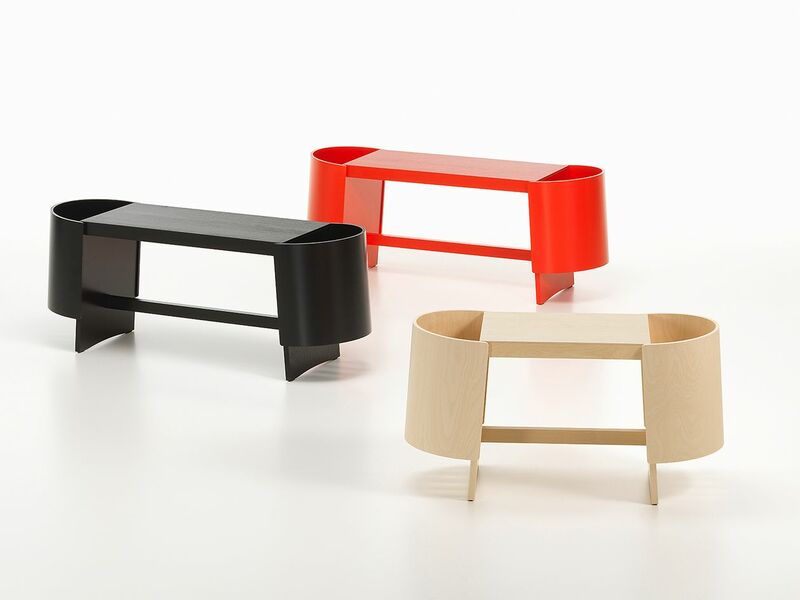 Artek's FIN/JPN Collection is on display in Milan on April 9–13, 2019 at Via Lovanio 6. The collection will be available for purchase in Finnish Design Shop.